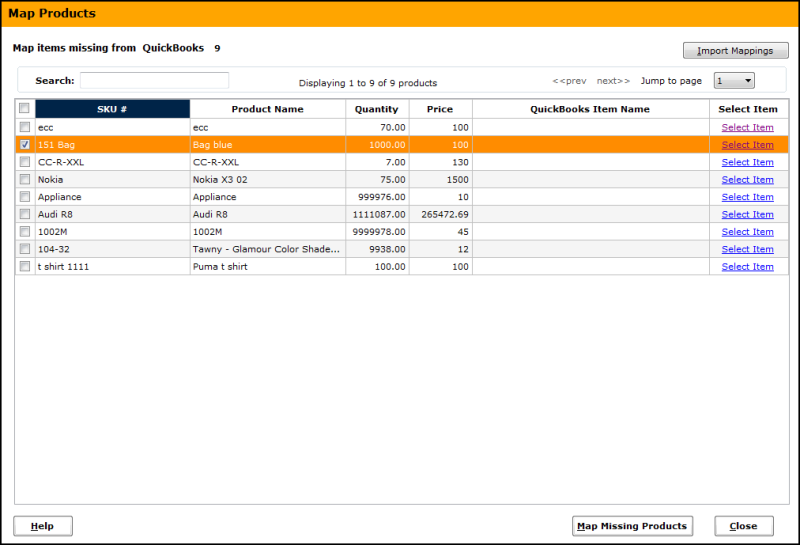 Use this screen to map missing items from your Online Store with QuickBooks existing items. How to map missing products? 1. Go to Products >> Map Products and select the item to be mapped. The moment you do this, you will see a screen similar to the below. Type in the product name or select from a drop down & verify the product details. Then Click on Map Product. 2. Once done, you will notice that the Quickbooks Item Name column will now have details of the item you selected. 3. Click on the Map Missing Products button in the Unify Desktop Map Products Screen to complete the mapping.